A vision came to me in my sleep. A vision of eggplants being used for evil… being used…for dessert! Having just received two eggplants in my CSA basket, I decided to make this vision come true. I give you a gluten free, dairy free, paleo, vegetarian, low carb, insert-dietary-need-here dessert that is beyond decadent and will induce feelings of guilt and drool. Behold! 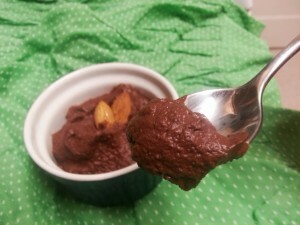 I give you chocolate mousse made from EGGPLANT!! 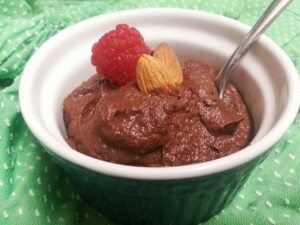 This recipe only has three ingredients – eggplant, sweetener and cocoa powder. 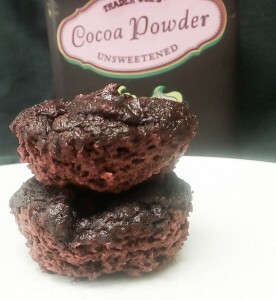 Use a high quality cocoa powder to make this a truly decadent experience. I prefer NuNaturals Liquid Stevia as my sweetener of choice and adore it. 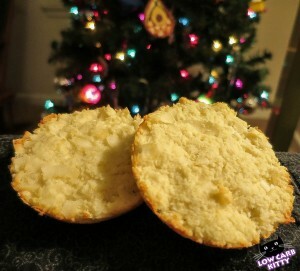 The liquid sweetener for this recipe helps prevent graininess that you might get from a granular sugar, such as Swerve. First, you gotta roast your eggplants. Cut your eggplants in half and score them with a knife – salt liberally and let them sit for thirty minutes, upside down on a cooling/cookie rack, so they can sweat out any bitterness. Pre heat oven to 415, wipe your eggplants down and put them on a baking tray and drizzle with olive oil. After about 45 minutes in the oven, they’ll be super tender/squishy. Remove and let cool. If adding the avocado, blend into mixture - it will make the mousse a little bit more 'creamy/light' versus 'rich/fudgy' and adds a bit of extra fat. 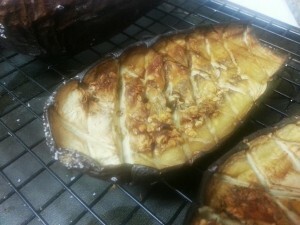 You can bake/puree the eggplant the night before as well. 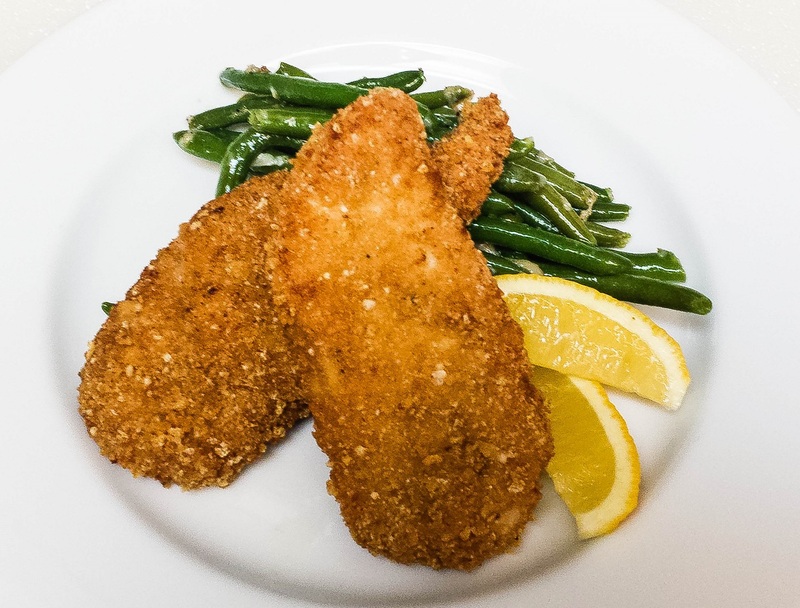 Makes 4 small (but VERY decadent/filling) servings. Go crazy and put fresh raspberries, almonds, or home made whip cream on top. SERVE IMMEDIATELY/SAME DAY. Eggplant changes over time, and the sweetness decreased end of the next day. Grab an immersion blender and beat up some whole cream to add a dollop of whip cream on top of the mousse. 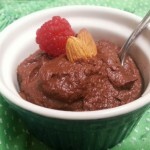 The whipped cream helps balance out the sweetness of the fudge; I love it!